A top-notch psychology book written for the non-expert by a pioneer in the field, perhaps one of the few people who actually deserved his Nobel Prize in economics. 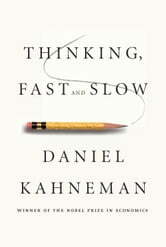 Kahneman presents a clear and engaging account of the strengths and weaknesses of how people think. You may not think you are an illogical, fear-driven, and lazy thinker, but you will see those tendencies in you if you read the book. The book is sprinkled with very short psychology experiments that you are encouraged to perform on yourself, and there is nothing more convincing than seeing your personal results. I don't mean to portray the book as being negative about the human mind. Kahneman actually conveys a great deal of respect and wonder at how well our minds work in most situations. We have all been finely honed by generations upon generations of evolution to survive rapidly-approaching danger and to solve long-term problems. 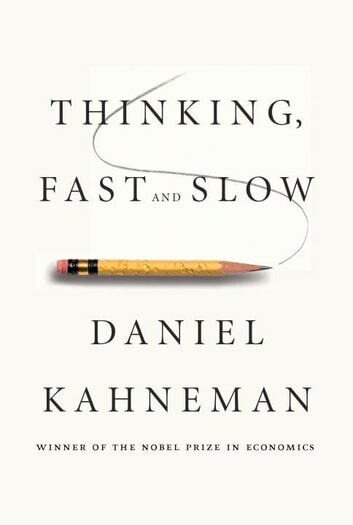 "Thinking, Fast and Slow" is a great pleasure to read and just might change how you think. Fantastic overview of the work that has been done in the study of human behaviour in various context covering more than the excellent work by Daniel Kahneman. If you are looking for a starting point into the emergent behaviour of our mind then look no further than this book. I had been fairly excited to get into this book, and in the end, was quite disappointed. I started the book with zest, and ended up taking several weeks to finish it as it became my 'alternate read' on my iPad for occasions when I had some reading time, but my primary book was not nearby (my iPad is pretty much *always* nearby). If you have an academic interest in this area, the book is dull, slow, and there is little here that you have not already heard in an intro psyc or cognition class. If you do not have a previous academic interest in he area, you will find the book dull and slow. There were just barely enough findings/insights randomly speckled through the book to tease me and keep me from giving it up entirely. As others have stated, I really started reading with the hope it would give some insight to the way people think. As a Project Manager who is dealing constantly with change management, I end up slightly disappointed as it gets deep down in details. The book has insight, but you may need to take it bits and bites. I am half way through it but it has lost its lusture. Proceed with caution, it can get deep and for some, its tough slog. A bit more than I am ready to absorb. I did learn a great deal but parts are too advanced for my level. Still, what I did learn will serve me well.